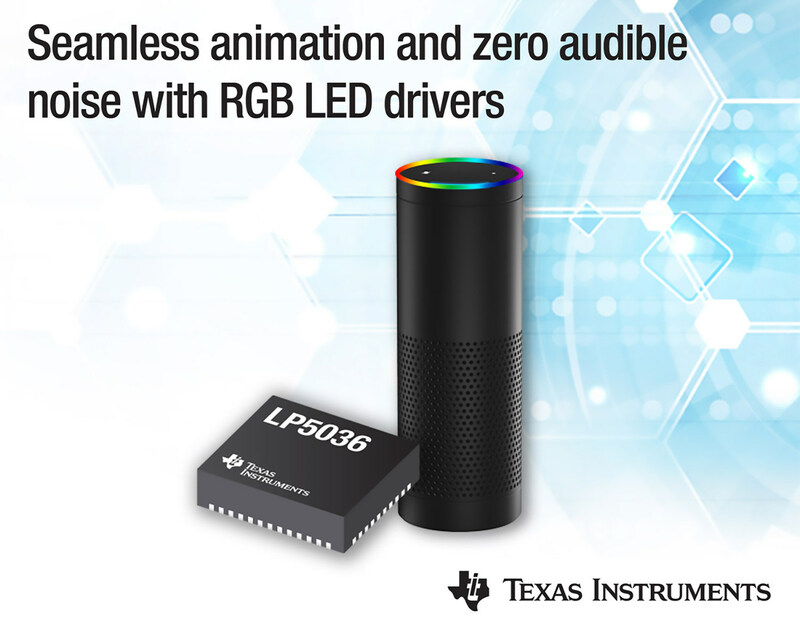 Texas Instruments introduced a new family of LED drivers with integrated, independent color mixing, brightness control and a power-saving mode. The new family includes the LP5018, LP5024, LP5030 and LP5036 enable smooth, vivid color and reduce system power consumption. Beside high-resolution PWM dimming, the LED driver family is also featured with low quiescent current and multichannel options. Under an integrated power-saving mode, the power consumption can be as low as 0.01 mA from the typical 9 mA offered in existing devices, improving total system efficiency in standby mode. Furthermore, with 18-, 24-, 30- and 36-channel options, it provides independent color mixing and brightness control, while three integrated, programmable banks enable simplified software coding and ease of design.